Multiple Viewing Options Scheduled for SEC Spring Football Games on SEC Network Platforms - ESPN Press Room U.S.
SEC Network, the 24/7 network devoted to the Southeastern Conference and operated by ESPN, will air every SEC Spring Football game with multiple viewing opportunities on both television and the network’s digital platforms. 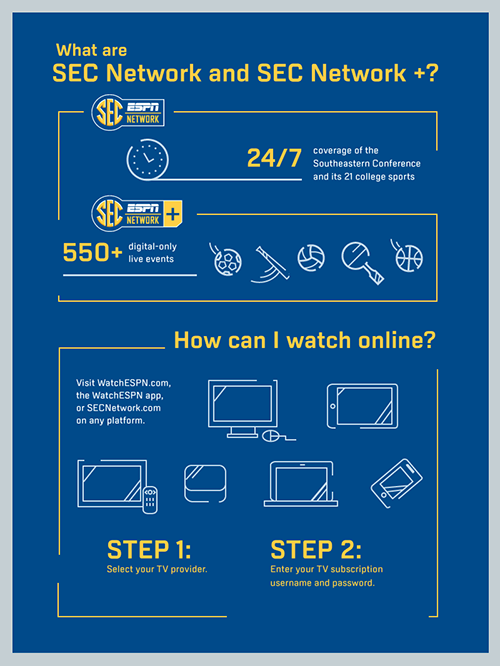 All 12 games* will be carried live and in full on SEC Network + with additional coverage on SEC Network Alternate. 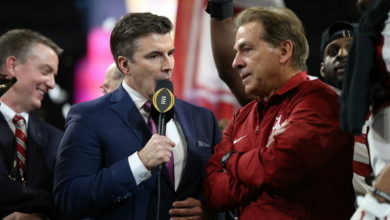 On April 11 and 18, SEC Network Alternate – an additional television channel used occasionally for overlapping live events – will carry whip around coverage between the multiple games being played. SEC Network Alternate will also air the games scheduled on Saturday, April 25. Every spring game will have multiple airings during the week on SEC Network.